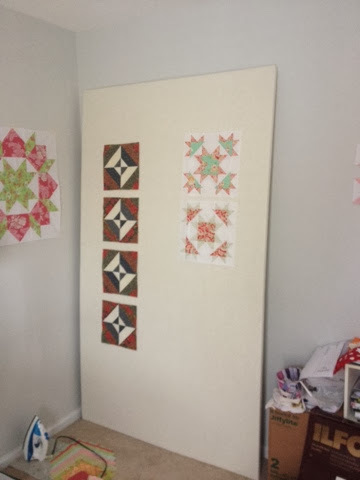 I took over the guest room, turning it into my sewing room about 6 months ago and for the last half a year I either used tape to hang blocks on the wall or used my "design" floor. The design floor was obviously disadvantaged as the daughter or the cat always seemed to rearrange and mess up the blocks. On the plus side, once I had the layout set, I always sewed the blocks together quickly to avoid the cat and daughter's influence. After seeing Christa's tutorial here, I decided that it was time to create one of my own. 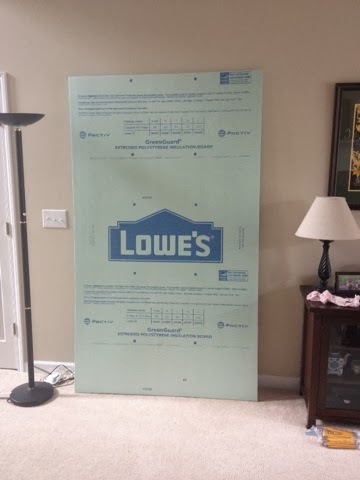 I bought a one inch thick polystryrene house insulation board from Lowe's. 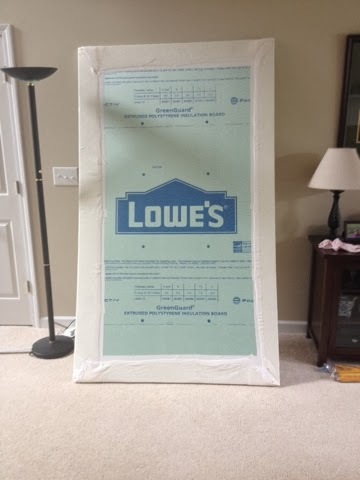 It was about $17 and was 4 feet by 8 feet. 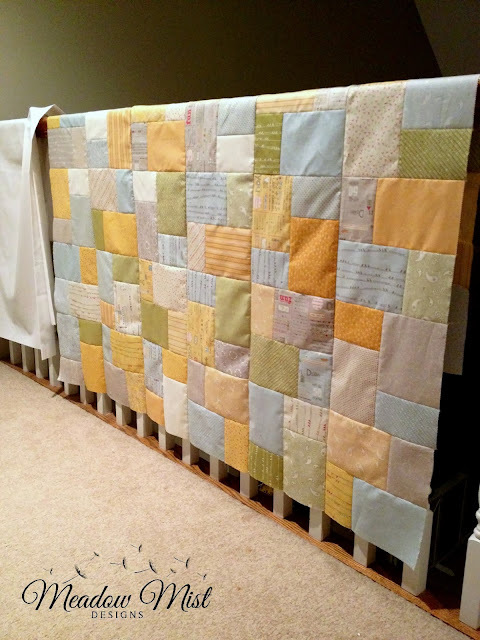 And here is my design wall in action, my daughter loves that fabric sticks so well to it and so the bottom 3 feet have all sorts of scraps all over it as she"designs" her new quilts. Well I did it! 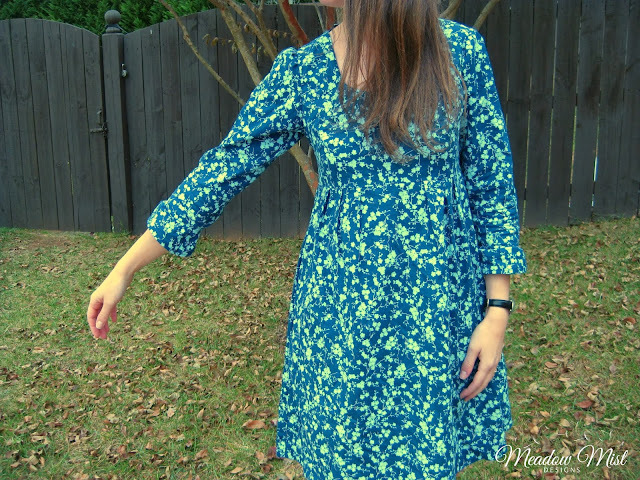 I finished my first Washi dress, my first garment I have ever made for myself. This is officially a muslin because I got this fabric for $2 a yard at JoAnn's. I figured using it was actually cheaper than muslin and if it worked out maybe I could actually wear it. I made the small size and did not alter the bodice or skirt pieces at all. I was lucky enough that the neckline and bodice fit without any alterations (because I don't think I could make any successful alternations). 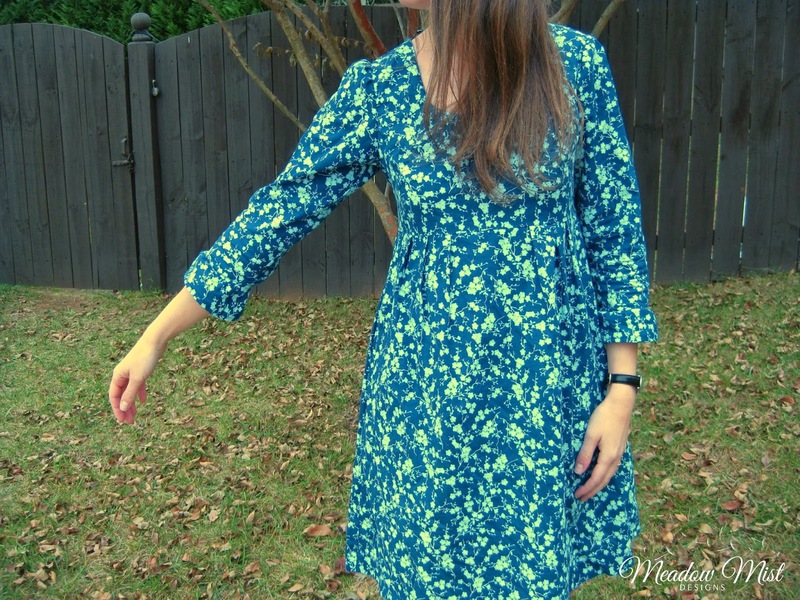 I used Rae's free directions on how to add sleeves, though I drafted my own sleeve pattern because the one included was a little too billowy (I added a little ruffle at the end because it looked a little unfinished plain). I was a little worried about the shape of the dress as I have not worn an empire style dress since I was pregnant and did not want to look pregnant again. I was happy the way it came out though my husband was not convinced of its shape. I think that maybe lengthening the bodice a little will help with this. 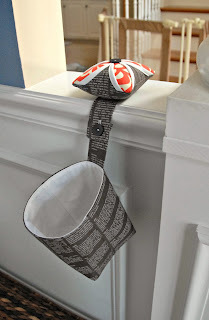 I bought the paper version of the pattern and was happy to not have to tape a million pieces of paper together. The part I was worried the most about, the shirring, was probably the easiest part of the whole pattern. The hardest part was just finding it in Joann's (it is by the elastic not by the thread if you are looking for it). I just wrapped the elastic thread around the bobbin without stretching it and started sewing. It worked wonderfully. I love the pockets, so easy! I did not cut out the keyhole in the neckline, I felt like it would be a little low to be comfortable for me. Use "real" (aka more expensive) fabric, the Chicopee print I got from Denyse Schmidt or else try a wool plaid and make the dress on the bias. I don't think that I'll have time before Christmas for my next Washi but maybe I'll be able to make it between Xmas and New Years. Thanks for stopping by! 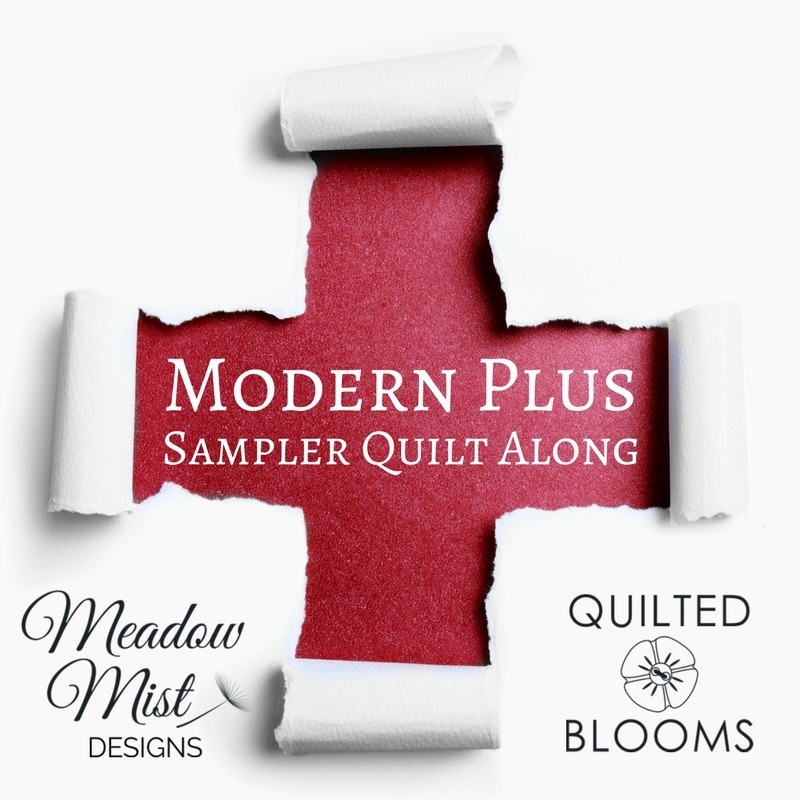 I also have a giveaway going on here for the Quilter's Blog Hop Party. 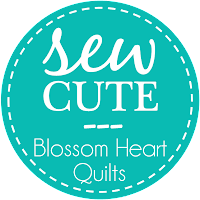 This is my first time joining in on the Quilter's Blog Hop Party over at the Quilting Gallery and I am very excited! For those who are new here, here is a little about myself (for those that are returning, thank you!). 1. Leave a comment, any comment. 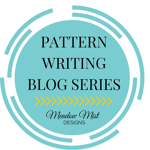 If you need a suggestion on what to write you can tell me which of my patterns is your favorite. Each year I try to make a few of my Christmas gifts instead of buying them. 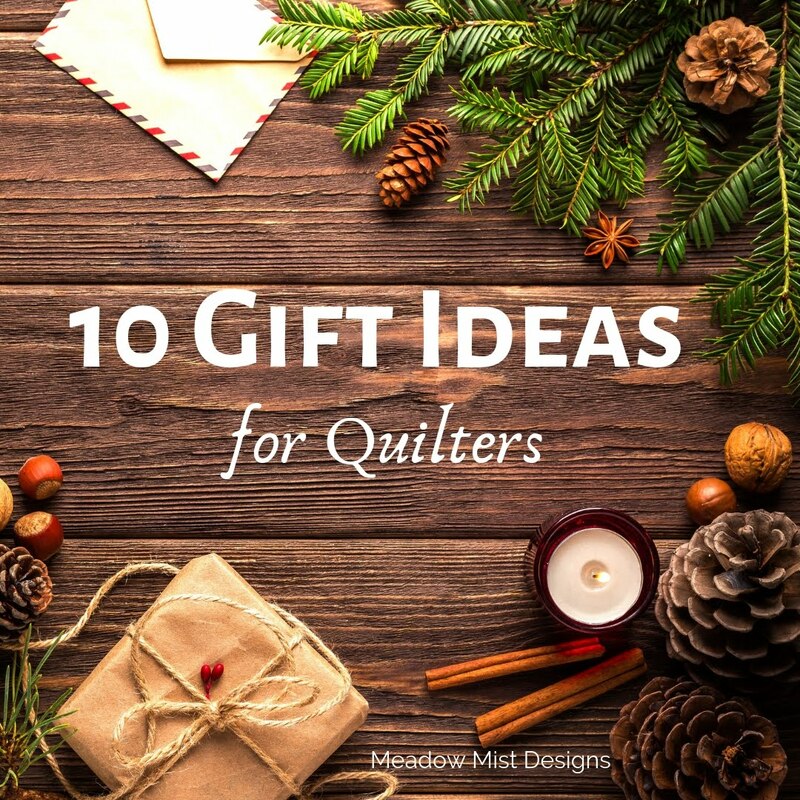 I think that trying to make everything handmade would be too challenging and stressful so by just doing a few handmade items and rotating who gets them each year is a nice compromise. 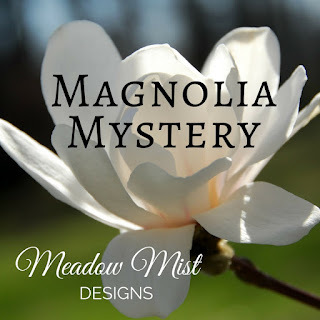 I won a layer cake of Hometown by Sweetwater by Moda earlier this year (or maybe even late last year) and it has been sitting on my shelves waiting for the right project. I decided to make a lap quilt for my Dad with it (I took out the few pink/magenta prints from the layer cake). I was originally going to pick a pattern with some background solid fabric but when I auditioned some background colors, there was not enough contrast with white or cream and the dark gray did not really go. Therefore, I decided that the best pattern would be one that used all of the layer cake prints with no background fabrics with a bonus of being simple and quick. I used the YouTube video of the Double Slice Layer Cake pattern by the Missouri Star Quilt Company. I must say, if you want a quick and easy top that this is a great candidate. I had the 6x6 block configuration finished in no time and there were very few seams to match. My plan is to add a 6" border on each side to make the quilt a little larger and back it with a Target sheet (to save some $$). I decided to also make a lap quilt for my Grandma-in-law, Grandma Peg for Xmas. She is 98 years old and has been a blessing in my husband and my life. I used some fabrics here that I do not typically use, but I combined them in such a way to hopefully make them stand out and while still matching her decor of her apartment and giving me open space to quilt in. This is a small lap quilt (about 42 x 55) as she is less than 5 feet tall. I will be featuring this pattern when it is completed in its own blog post where I will highlight the inspiration to this pattern, how it was developed, and the final pictures. 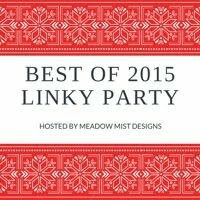 I hope to draft up the pattern and share it free on craftsy. 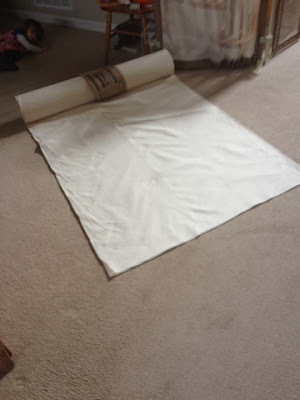 (The quilt top really has straight sides, an iphone picture from me standing on a chair makes for skewing of the image). 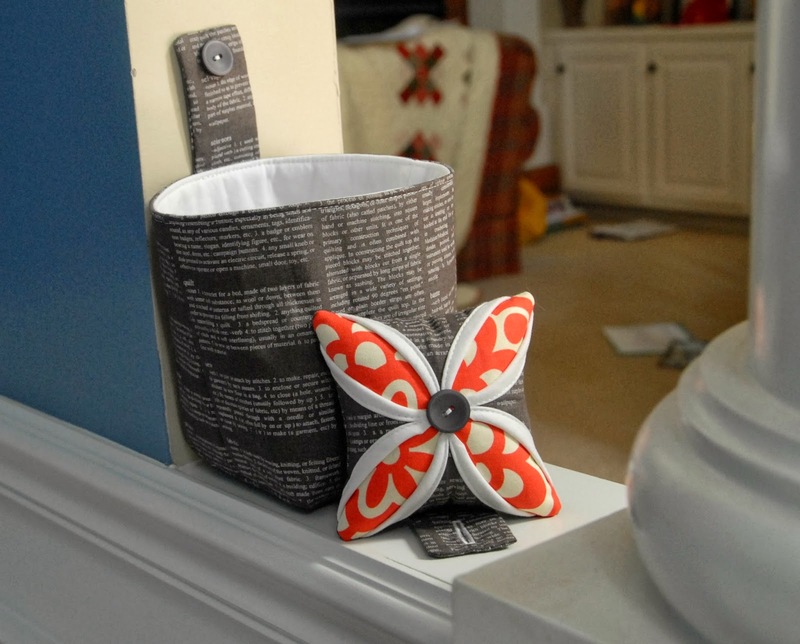 I hope to make one of these folded star wall hangings for my sister who loves these folded stars. 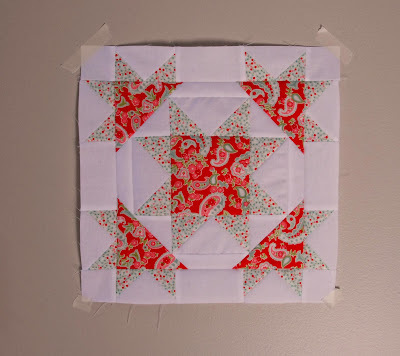 I will be using this tutorial from Moda Bake Shop by Not Only Quilts with some green and red fabrics I have picked out. Using some left over jelly roll strips from the Nature's Christmas collection by Sandy Gervais for Moda (left over from my Xmas Granny Square Quilt), I made some Daniela Blocks (using the strip tube ruler) for a simple Christmas runner for my Mom. The dark blues in this line match her couches perfectly and I like how this collection of prints reads Christmas without being overly red/green typical Christmas. I still need to add the sashing and border to this one to finish the quilt top. The last project I have for Christmas is to make a larger version of the Fabric Engineer's Shuttle paper pieced pattern for a pillow for son. So there are my goals for Christmas. Wow, now that it is all written down it seems like a little bit ambitious. 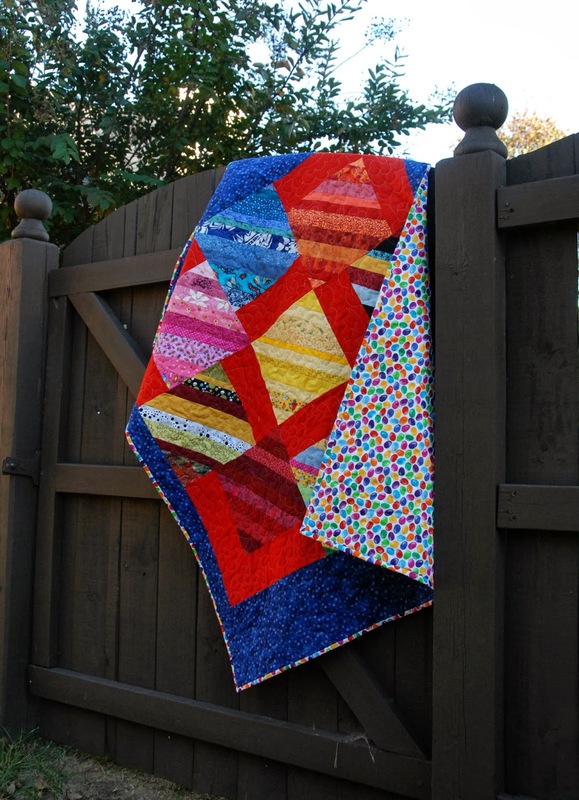 I also hope to have my Vintage Stars pattern and quilt finished and released by the end of the year (or maybe by mid-January). It should be busy but fun!! 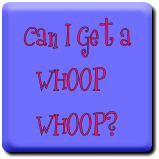 Also, check back tomorrow as I will be joining in on the Blog Hop Party Giveaway. 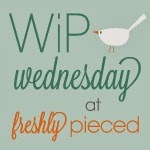 Linking up to WIP at Freshly Pieced. 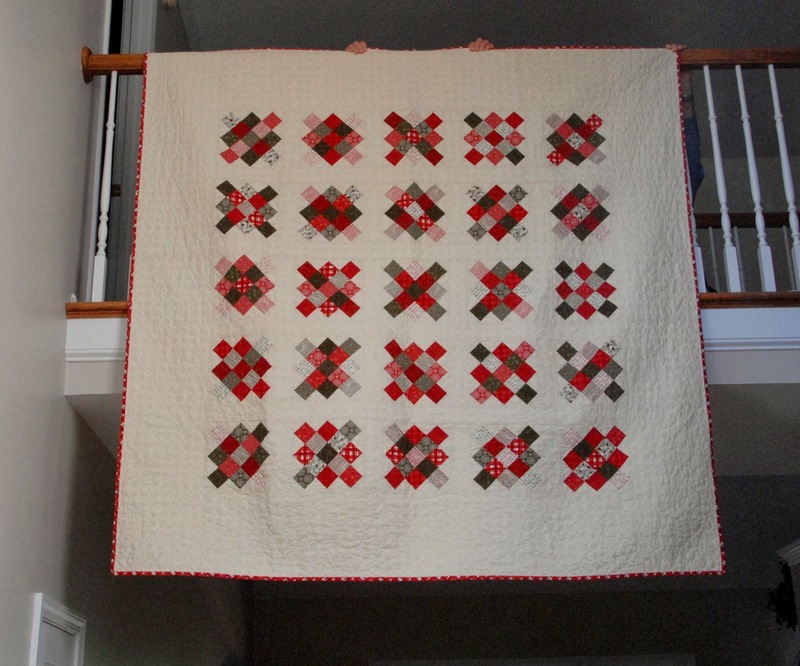 The finish I have to share with you today is my Christmas Granny Square Quilt. 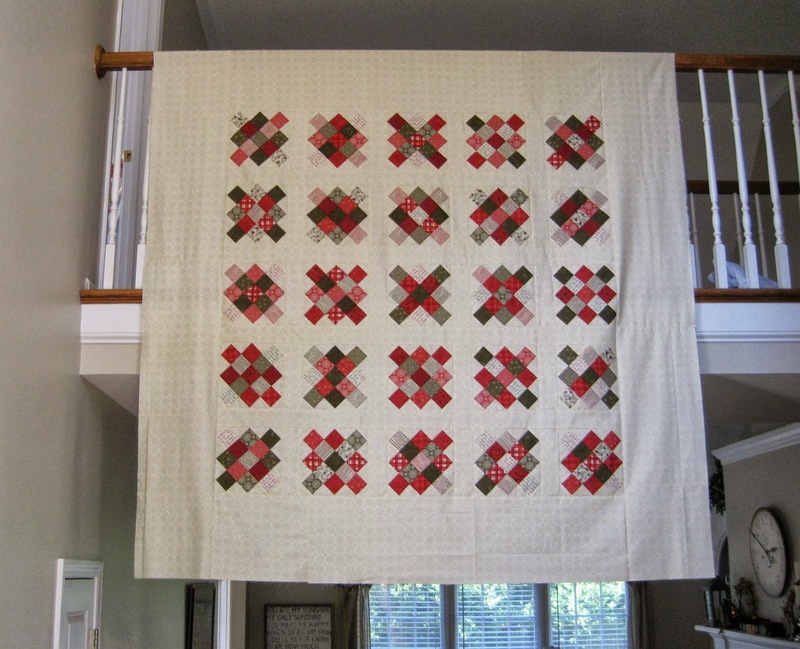 I made this granny square quilt using the red and greens of the Nature's Christmas collection by Sandy Gervais for Moda and added a sashing and border of one of the cream prints. I love how the different arrangements of light and dark fabrics produces such different looking blocks. 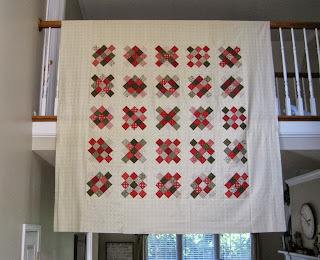 This quilt is off to my friend in North Carolina to be used a table cloth. I backed the quilt with a simple ivory fabric, quilted it using a meandering stitch (I love how it gives quilts that crinkly vintage look) and bound it with my favorite print from the line, a bias plaid in red and white. The quilt is 75" x 75" which makes it a little difficult to get a good picture of it, though my in-laws were in town this weekend so I had some extra hands to hold the quilt up. The quilt was first blogged about here. 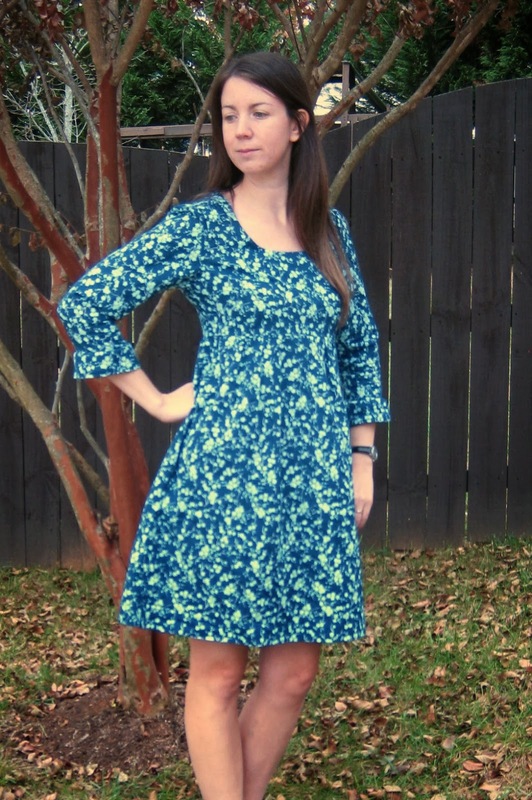 Back in the spring I released one of my first and still most popular patterns, Charming. 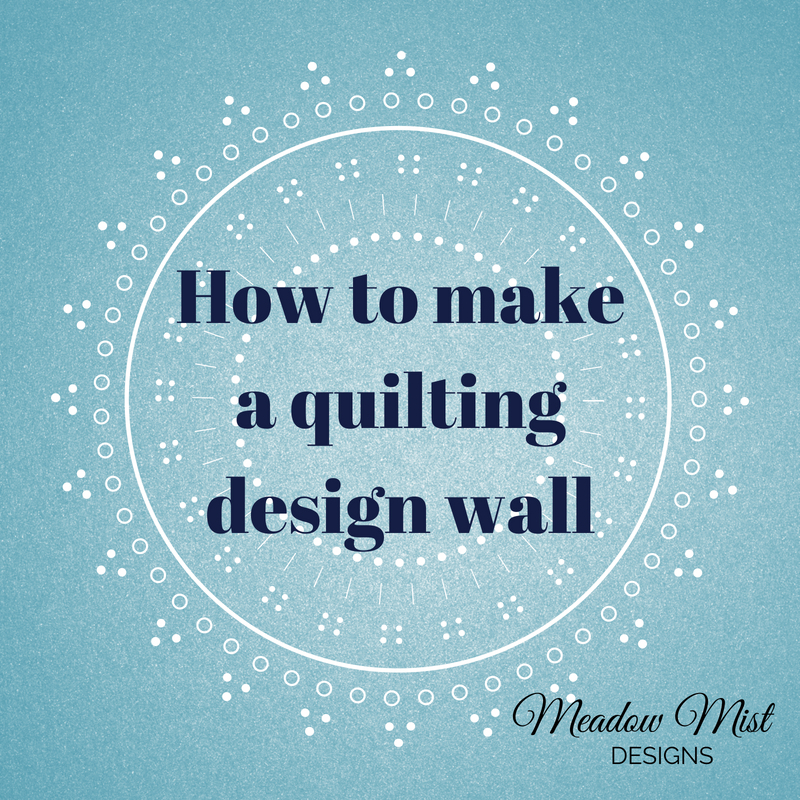 The pattern is a beginner friendly pattern using charm squares (or layer cakes). 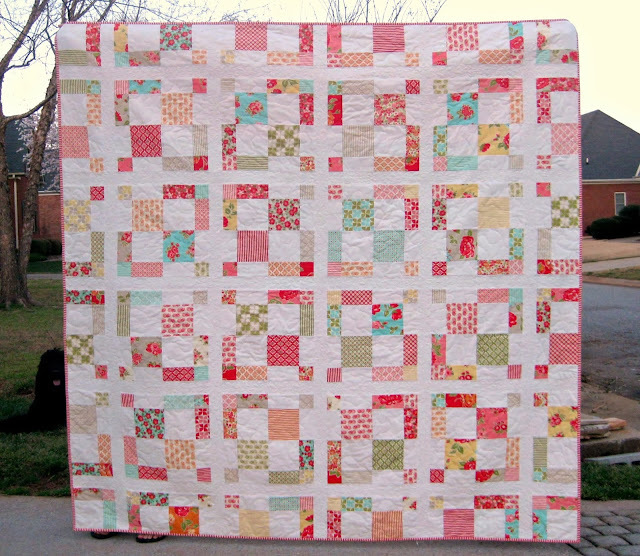 The quilt I made using the pattern was a generous sized lap quilt using Marmalade from Bonnie and Camille. 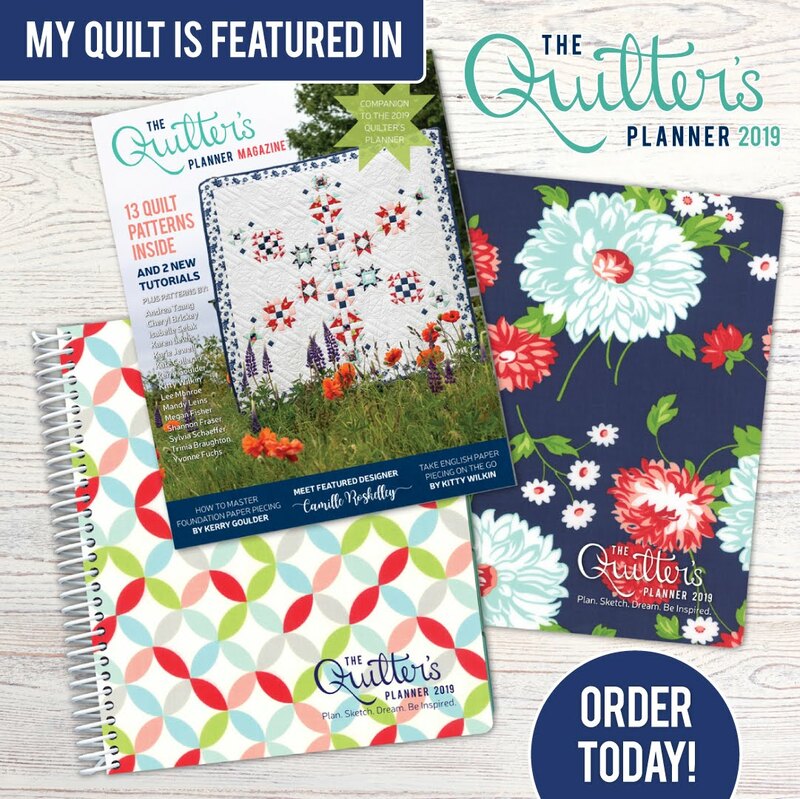 I was honored to have met a fellow engineer and quilt lover Amanda who blogs over at the Fabric Engineer and was kind enough to have reviewed my pattern before its launch. She has a wonderful sense of color and creates some wonderful quilts (you should check out her Mario Brothers quilt). 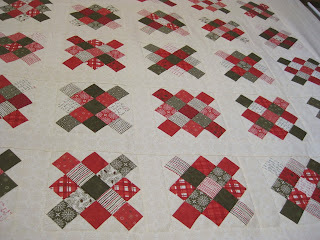 She also creates some really wonderful quilt patterns and paper pieced patterns that I have been lucky enough to test. 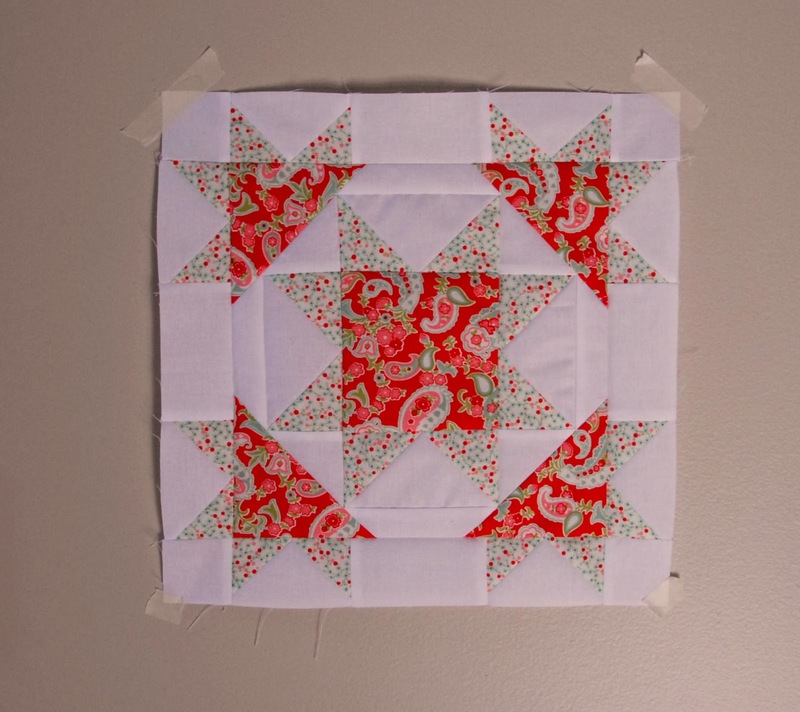 Amanda has recently made a baby quilt using Charming and it is so cute! 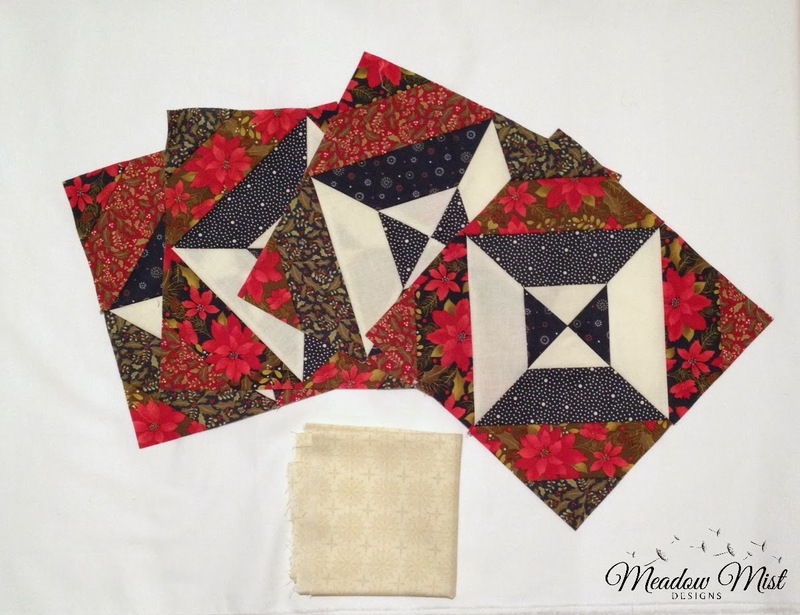 The pattern looks so different and wonderful with the different colors and prints Amanda used. Her blue fabrics (I believe they are batiks almost look iridescent). Charming is sold in my etsy and craftsy stores. I have finally finished my Charity Quilt. As part of the Foothills Piecemakers Quilt Guild, members make blocks, make quilt tops, and/or quilt the quilt. I did not make this quilt top but offered to quilt and bind it. 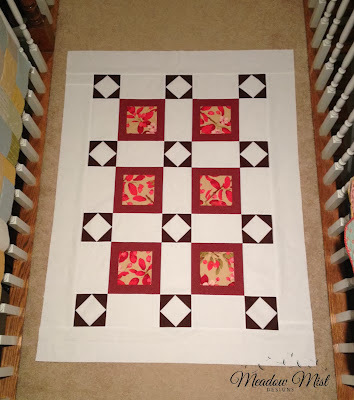 I used this quilt to try out and practice some new FMQ patterns. I decided to try out a blooming flower type FMQ. It took some time getting used to this pattern and getting my hands and brain to cooperate. In the beginning I was moving the quilt to fast then I would wind up catching the large stitching loops on my FMQ foot so this quilt took a lot longer than I had planned on. But it is finally finished and was handed into our philanthropy chair at yesterday's meeting! I also finished up my custom combined cathedral window pincushion / thread catcher I have been working on (I described my process here). I really enjoyed figuring out how to make the set connected (using a button) and all of the different dimensions. I have a custom set listed on etsy now. Here is a sneak peek of my newest pattern I am working called Vintage Stars. 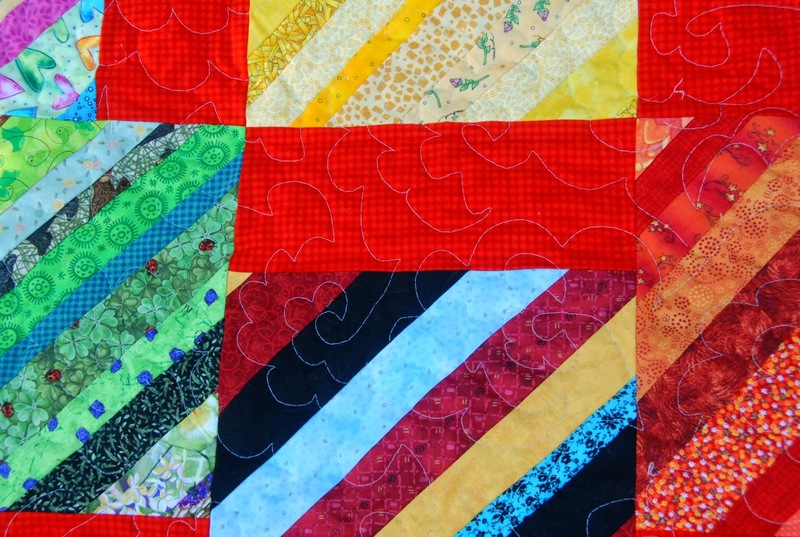 I am making the test quilt out of Scrumptious by Bonnie and Camille. 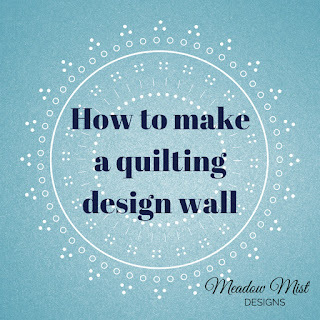 I typically have not shown many in progress pics and details about my patterns, but with this one I thought that I would share more of my process I use to write quilt patterns. 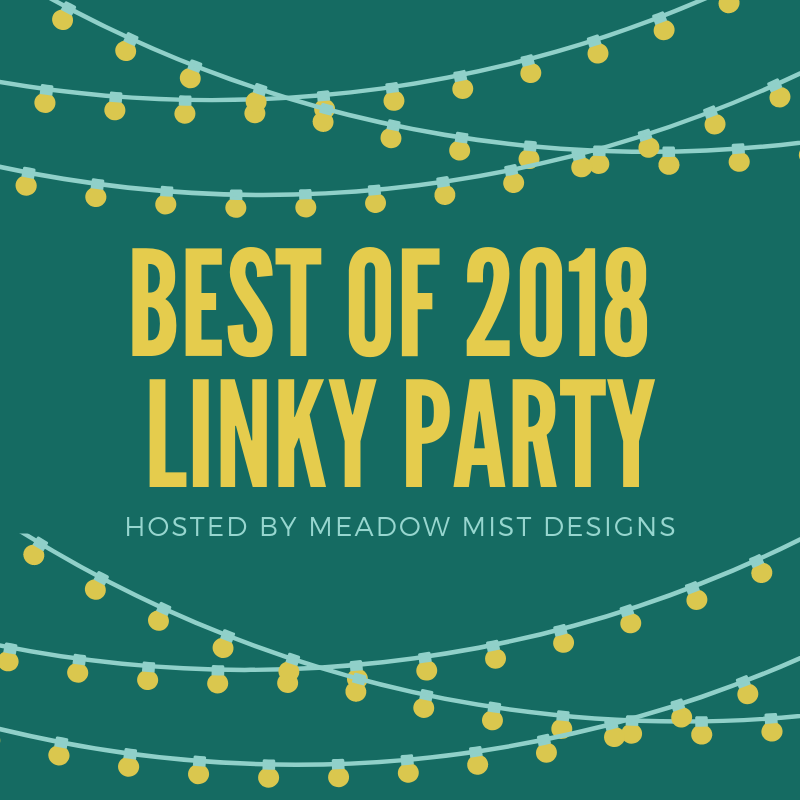 I am linking up to Link a Finish Friday, Whoop Whoop Friday, Thank Goodness Its Finished Friday, Finish It Up Friday, and Sew Cute Tuesday. 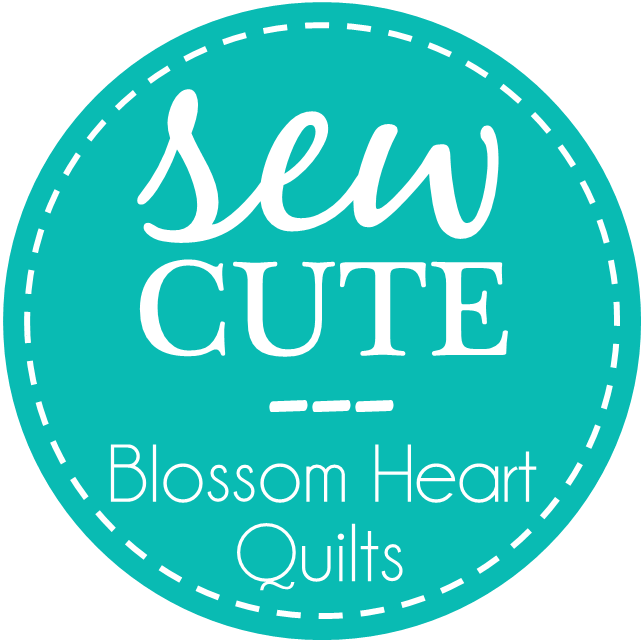 As some of you may know, I have an etsy shop where I sell my quilt patterns and sewing accessories. Over the weekend I was approached to make a custom combined cathedral window pincushion and thread catcher. I love the chance to design and figure out new things so I readily agreed. 1. I needed to make the pincushion as heavy as possible to hold the fabric basket. I usually use about half crushed walnut shells and half stuffing. I changed the filling to almost all crushed walnuts. 2. 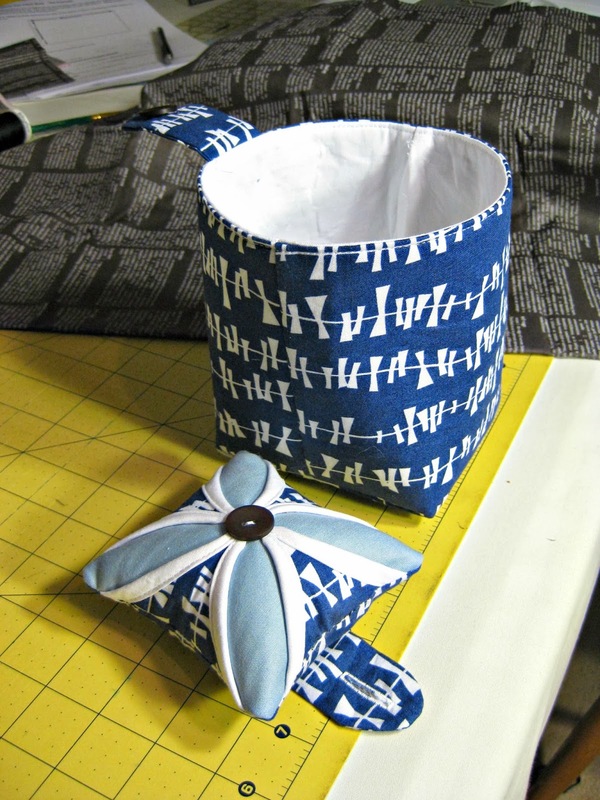 I wanted the set to be separable so that the pincushion and thread catcher could be used together or separately. 3. 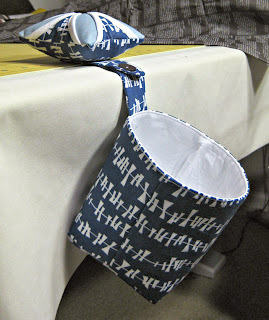 I needed to make the fabric basket a different dimension. I first used pins, fabric, a cathedral window pincushion, and a fabric basket to mock up a design, don't you love the fabric combinations? :) My original thought was to add the connecting fabric in the seam of the pincushion. 1. 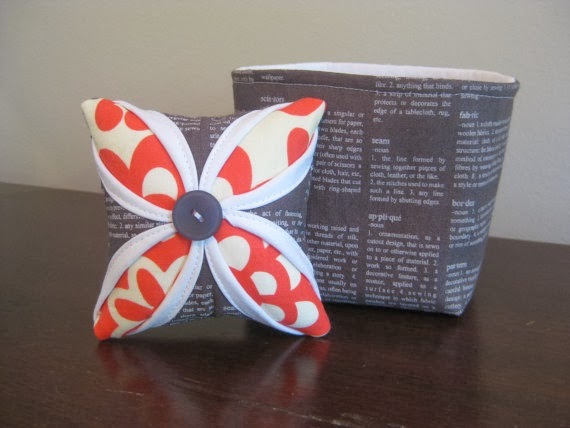 I made the pincushion much heavier. This weight seemed like it was able to hold up the basket well. 2. 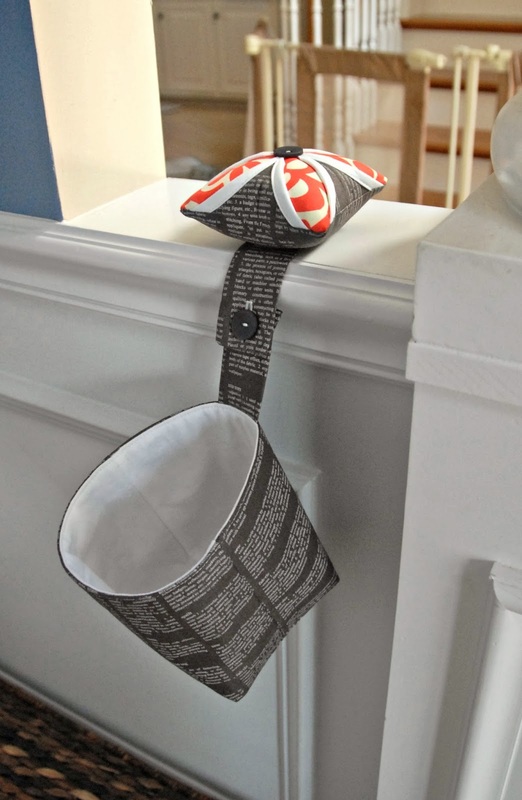 I added tabs to the bottom of the pincushion and into the seam on the fabric basket and added a button and button hole to connect the two. I added some interfacing to the button and button hole area of the fabric strip to give it some stiffness and strength. 3. I kept the width of the basket the same but made the basket deeper from 4 inches to 5.5 inches. I am very happy with how the set turned out. Now it is time to make the "real" set for my customer. 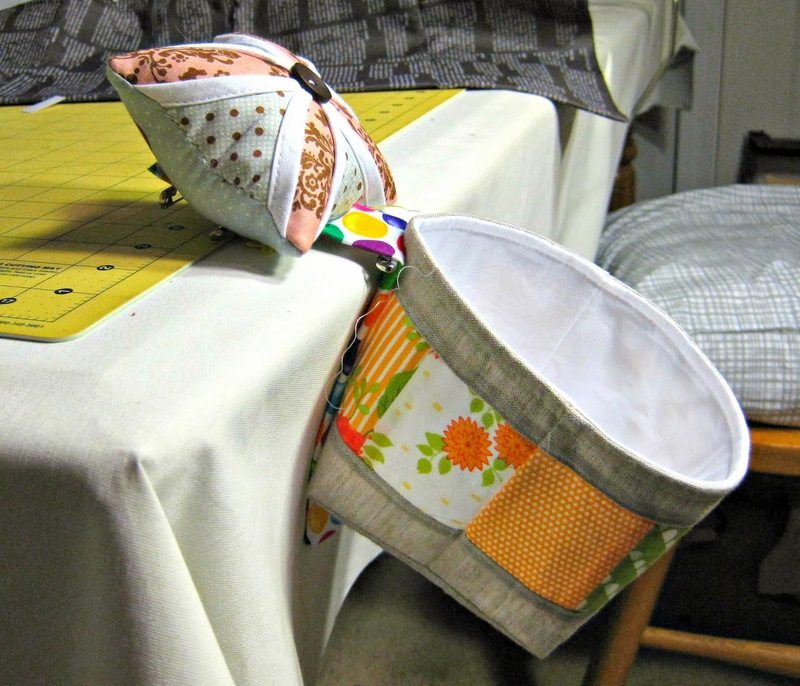 I was wondering everyone's opinion on pincushions and thread catchers. I had never really thought about combining them as I move my pincushion around a lot and like my thread catcher to always sit on the table next to my sewing machine (if I move it and forget to put it back I have the bad habit of throwing the threads on the floor). Do you like yours together or separate? If there is interest in the combined version I might make a few more for my etsy shop for the holiday season. 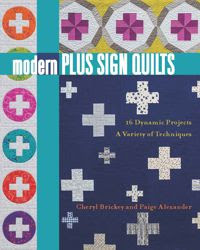 Note: This post has been written to enter the giveaway associated with the Blogger Quilt Festival. I am not getting pad by Baby Lock. 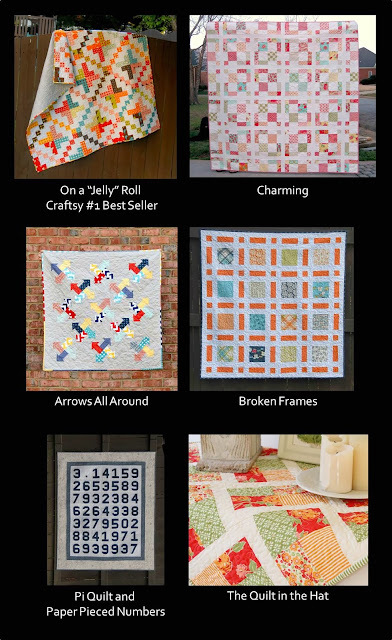 I do not have a quilt shop around me that carries BabyLock so I never have really considered them. It does look like it has some great functions though. I am super happy with my Bernina, but I would love to win this sewing machine for my son. He is 6 now and has been hand-stitching a teddy bear. Once he is finished with that he wants to try out sewing with a machine and his goal is to enter a quilt of his own in my local quilt guild's show in March. This would be a wonderful present to him. For November my main goal is to get my Granny Square Xmas quilt finished up and mailed off to my friend. 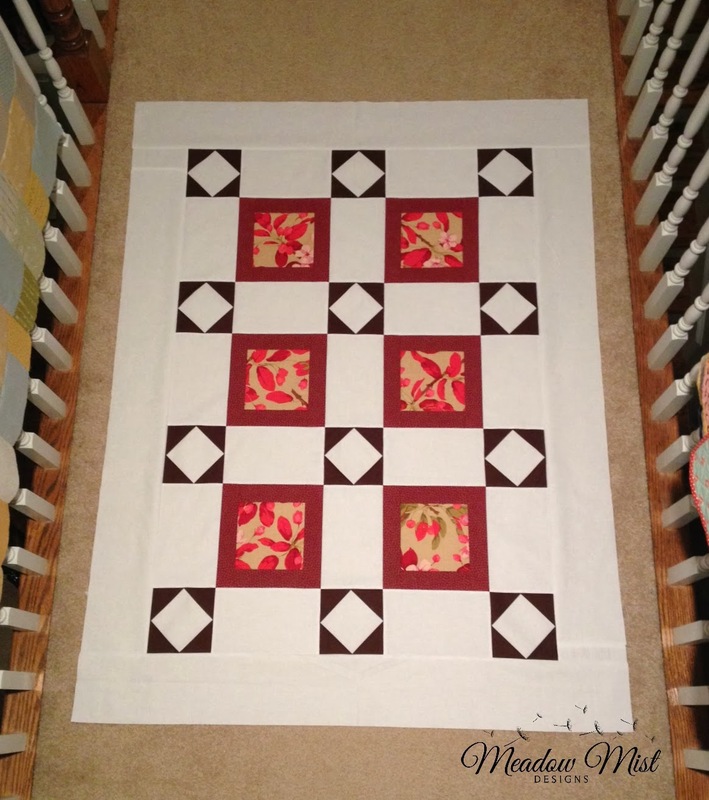 Here is a picture of the quilt top from my WIP Wednesday post on Wednesday October 23rd. Since this picture I have basted it and have started quilting it with a simple meandering stitch. I already have the binding made so once I finish quilting I will have the 300 inches of binding to hand stitch on. - Finish drafting new pattern call "Vintage Stars"
- Start xmas stocking for my new nephew born over the weekend. 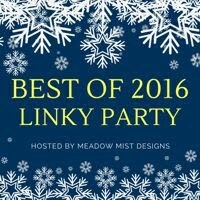 I am linking up with "A Lovely Year of Finishes" November goal on Bittersweet Designs blog.